The Bowraville Central School Gumbaynggirr program is amongst the longest running Aboriginal language programs in NSW. It has been working K–10 since 1993, including a Board of Studies Endorsed course when it comes to class Certificate, before the syllabus became available. 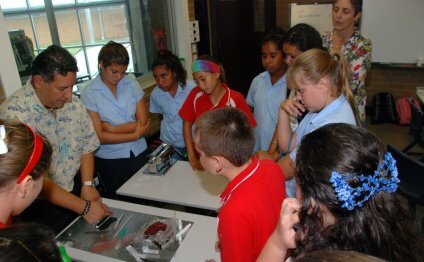 Nambucca Heads senior high school started providing a Stage 6 Board of Studies Endorsed Gumbaynggirr program in 2005. Both schools have actually both already been using the Muurrbay Aboriginal Language and heritage Co-operative. They share resources and workers. Alongside the Board of Studies, the two schools are planning a Stage 4 program, utilising the NSW Aboriginal Languages K-10 Syllabus. Although both schools had some experience of Gumbaynggirr learning and training, they desired to work further with all the Board of Studies to produce well thought out programs. Board of Studies workshops because of the two schools began in 2006.